Here's what we know so far about the fallout from the scandal which police revealed on March 17. Brazil sells more than $10 billion of chicken and beef a year but a scandal over rotten produce and faked inspections has prompted import bans, threatening the world's biggest meat producer. China and Hong Kong have suspended all Brazilian beef and chicken imports. China was the second biggest chicken importer in 2016 with $859 million in purchases. Hong Kong was the biggest beef client, buying $718 million worth, followed closely by China which racked up a bill of $703 million. Chile has also suspended all meat imports. Although a relatively small market, Chile is part of the regional Mercosur trade group with Brazil and its decision prompted an angry reaction. The European Union, which buys almost $650 million in Brazilian beef and poultry, has blocked imports from the 21 businesses being investigated in Brazil. Only four of those companies were eligible to export to the EU. Japan, Brazil's third biggest market for chicken with $720 million in sales, imposed a similar limited ban, while Mexico has stopped imports of chicken produced by the 21 companies under scrutiny. 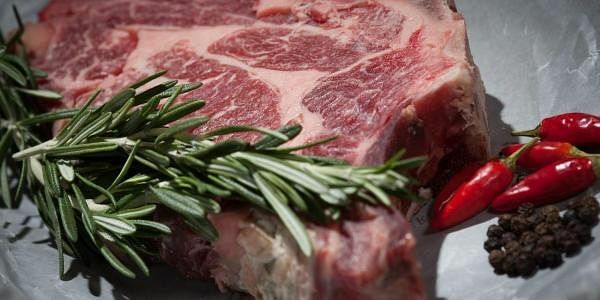 Meat-loving Argentina and the United States are among countries holding off from banning imports. However, they have increased inspections. Russia, which has heavily relied on Brazilian imports since banning US and European Union food imports, said it wanted clarifications from Brazil. The big shoe yet to drop for Brazil is Saudi Arabia, which is the principal chicken importer to the tune of $1.15 billion and has yet to take any action. South Korea lifted a temporary suspension on the distribution of chicken already imported from Brazil, after authorities there confirmed that no tainted poultry had entered the country. Brazil exported more than $12 billion in all meat products in 2016, between six and seven percent of total exports. There are clients in more than 150 countries. Markets analyst Andrei Perfeito told AFP that Brazil's fear is that competitors will try to gain ground while this cloud hangs over Brazilian products. "It's a very competitive market. The (agriculture) ministry has a huge job ahead of it," he said. Brazil's government appealed Wednesday to the World Trade Organization's 163 other members not to impose "arbitrary" meat bans.